Although the design of Ravenwood Castle was inspired by castles built to defend the border between England and Wales in the 12th and 13th centuries, the building in much newer, of course. 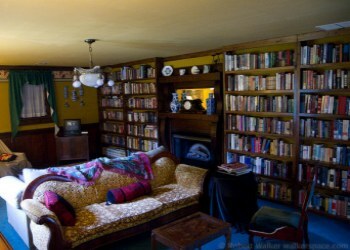 Sue and Jim Maxwell have been long-time Anglophiles (lovers of English Culture) and have made many trips to Britain where they first enjoyed the concept of Bed and Breakfast many years before it was common in America. It was on these trips they also got the idea for the Castle. Ground was broken in September 1994, and the main Castle building was finished by May 1995. 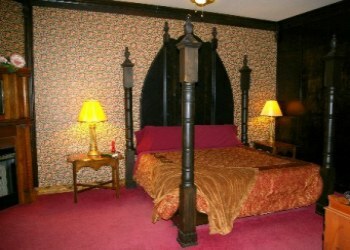 Although they had planned only four rooms for guests, for various reasons, a few more rooms were added along the way. The cottages in the medieval village were started in the fall of 1996 and the first three were ready for guests in the spring of 1997. The floor of the great hall and much of the wood trim in the Castle were adapted from the various castles and �stately homes� they saw on their trips. 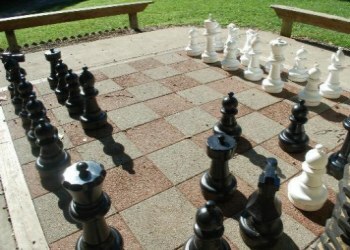 The game room resembles the atmosphere of many British pubs with its �faux stone� floor, tavern windows and great fireplace. 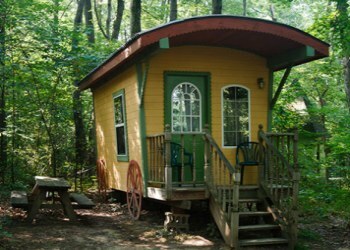 It was on these trips that they also got the idea for the tea room and cottages. The designs of these buildings were all inspired by Sue�s photos of original British buildings. The cottage themes were inspired by the occupations of people who might have lived or worked in their cottage home several hundred years ago. While in England, they also came across various gypsy wagons which gave them the unique idea of alternative lodgings for camping families. 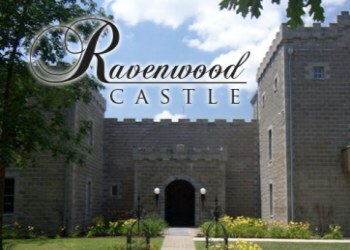 In June of 2012, Jim and Pam Reed purchased Ravenwood Castle. The Reeds first visited Ravenwood in 1996, and returned numerous times in the years since. When they discovered Ravenwood was for sale in early 2012, they knew they wanted to write the next chapter in its story. Jim brings 20 years of business experience to the Ravenwood team, which he puts to use managing the operations of the castle. Pam's focus is on guest relations and planning Ravenwood's myriad of events.